ALGEOS is delighted to announce we have been awarded Silver accreditation against the new Investors in People Generation 6 Standard. 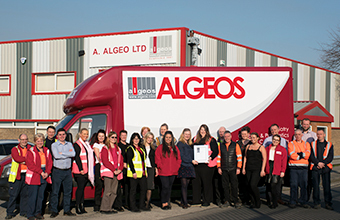 This latest accreditation, running until 2020, is a tribute to the collective effort of the Algeos team. Investors in People is the UK's leading accreditation for business improvement through good people management. Internationally recognised, the standard defines what it takes to lead, support and manage people well for sustainable results. The standard is underpinned by a rigorous assessment methodology and a framework which reflects the very latest workplace trends, essential skills and effective structures required to outperform in any industry.